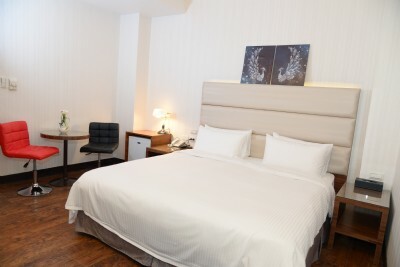 Gracefully set adjacent to Keelung Harbor, E-Coast Star Hotel offers modern but cozy accommodations where guests may simply rejuvenate and unwind after a long day travel. Just about 40 minutes away from Taipei City, Keelung is famed for its natural sceneries, cultural relics, extensive ocean views, Miaokou Night Market and fresh seafood. 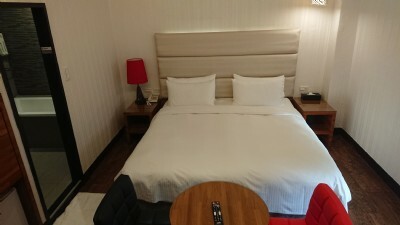 This cozy Taiwan hotel is a nice start point for one to discover Keelung and famous Taiwan attractions in the northern coast. Other popular destinations such as Jiufen, Jinguashi and Yeliou Geopark are about 20 kilometers away for old-time flavors, cultural and historical sites, and distinctive rock formations and fossils, Zhongzhen Park about 2 kilometers away for great views overlooking Keelung City and gigantic Buddha statues, and Keelung Miaokou Night Market just about 650 meters away for a wide array of traditional Taiwan snacks. Moreover, Keelung Train Station and Keelung Bus Station are only set within walking distance makes your trip in Taiwan conveniently and efficiently. 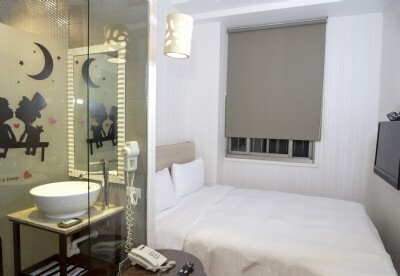 The great location of this contemporary Keelung hotel with a parity price is to offer you an easy north coast travel of Taiwan. the venue in order to avoid traffic congestion.